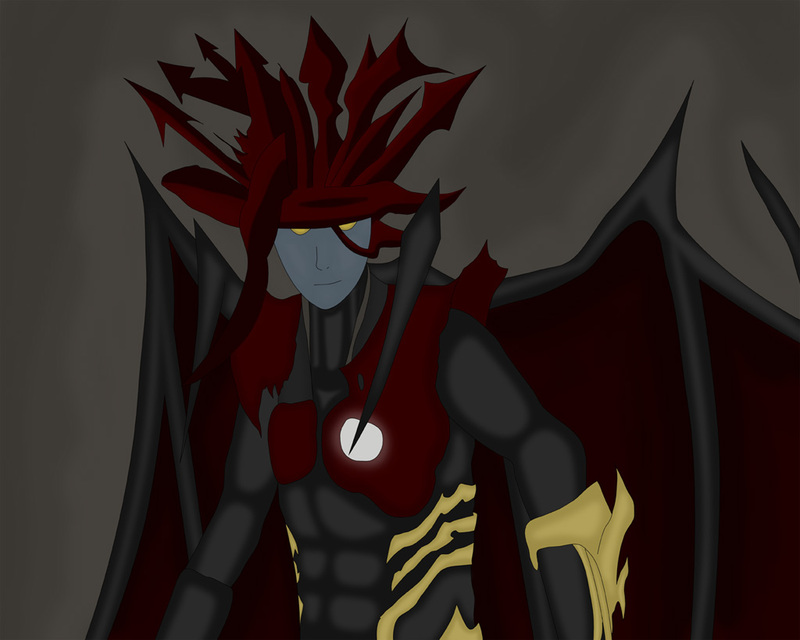 A transformed Vincent Valentine as Chaos, from Dirge of Cerberus. The image is based off a screenshot from the game. Many thanks to Amanda for encouraging me during the progress of this picture. Drawn with pencil and paper, inked and colored in Photoshop, primarily using the pen tool.